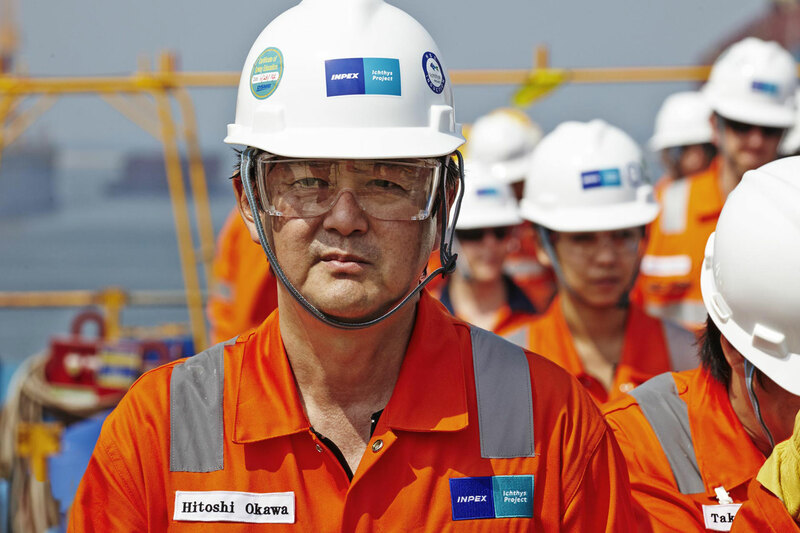 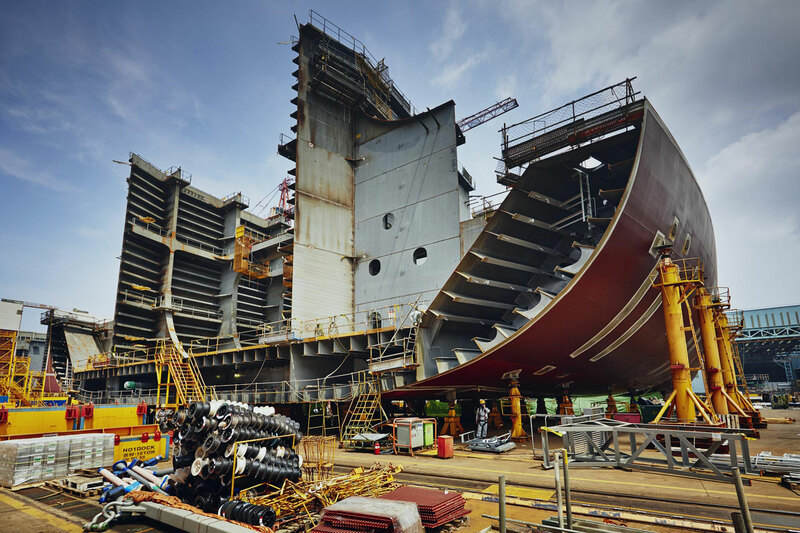 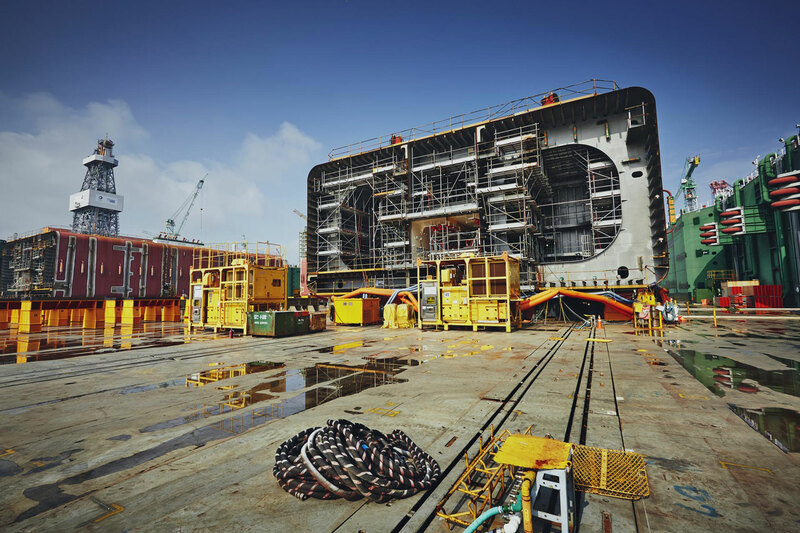 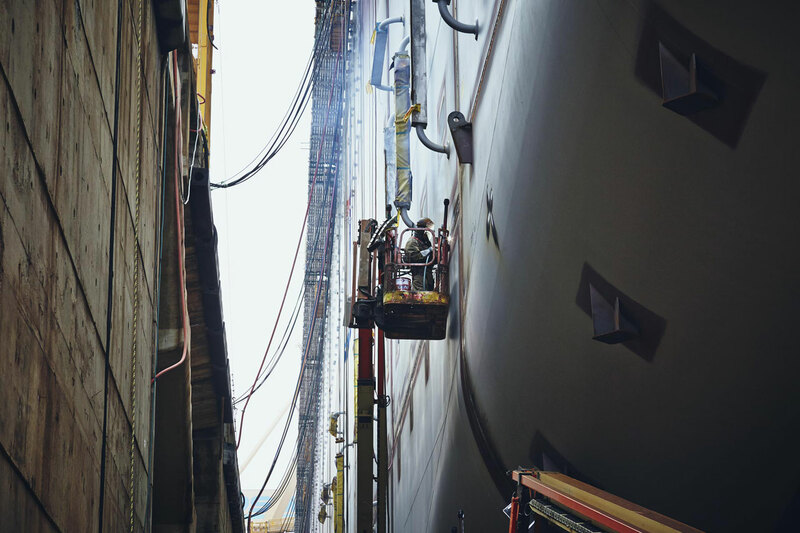 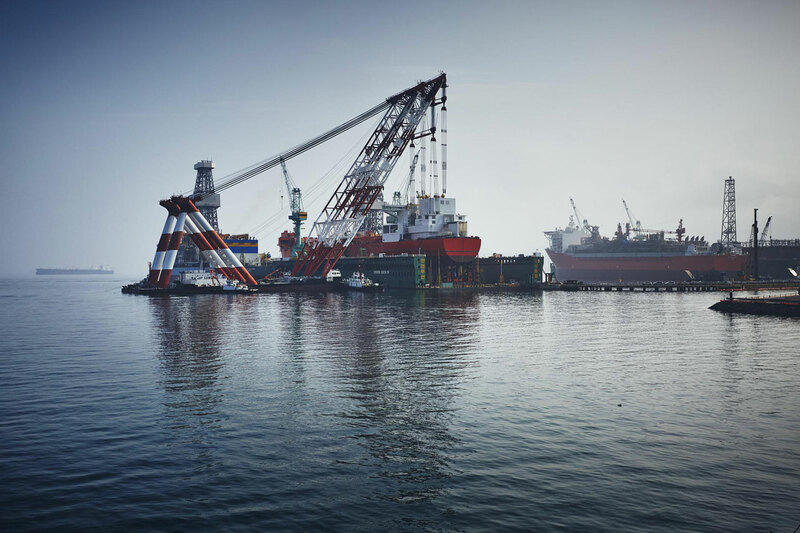 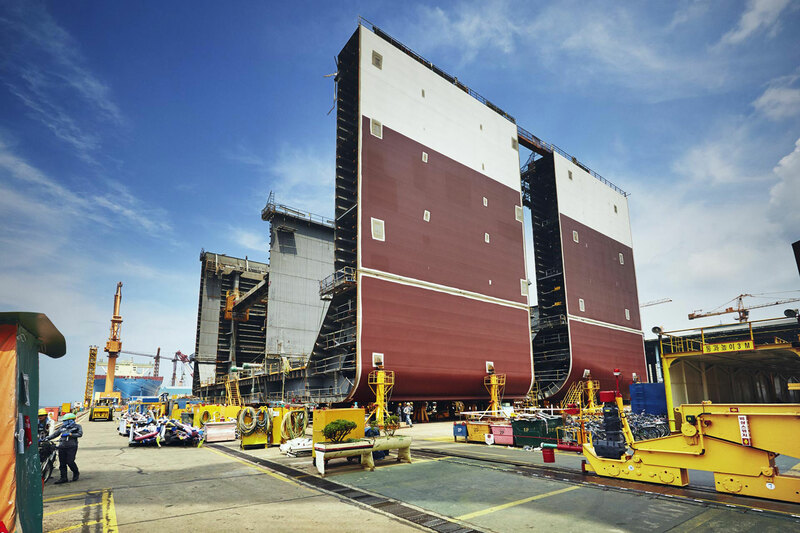 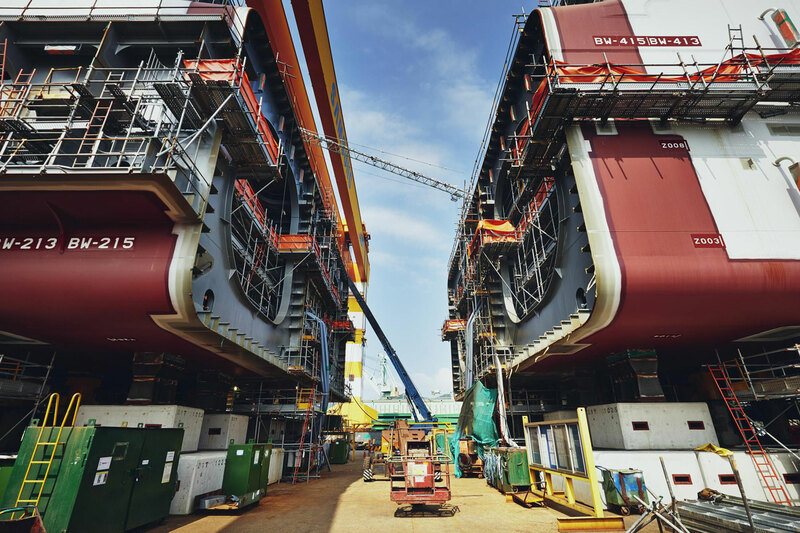 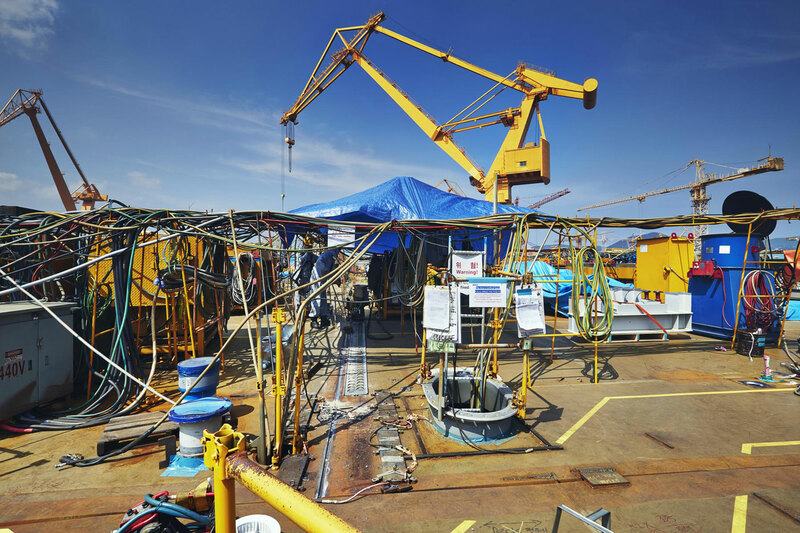 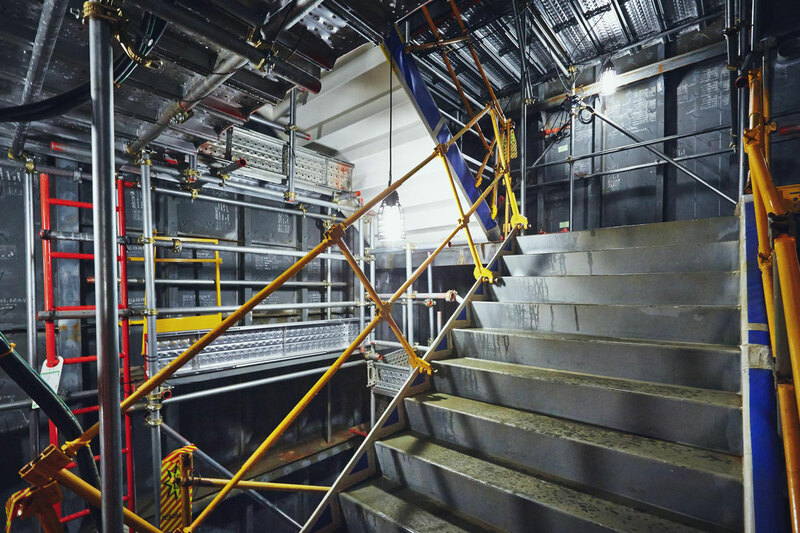 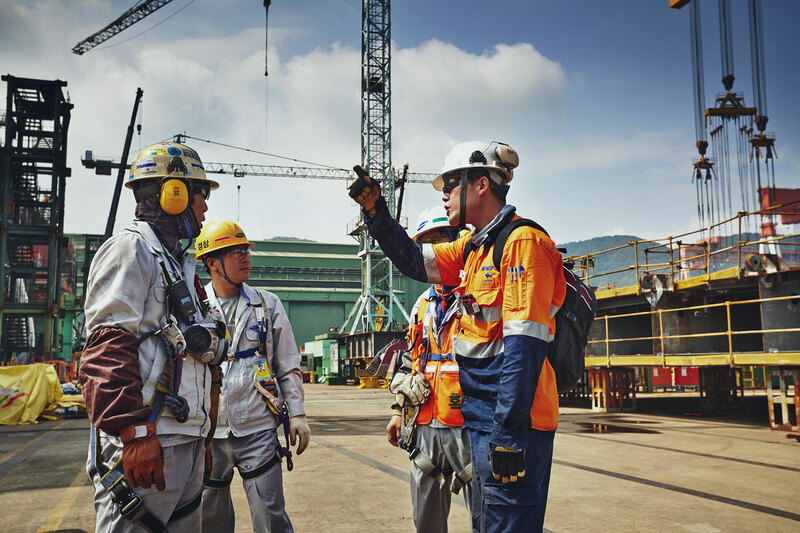 A commission by INPEX to site tour & document the construction of their Australian Ichthys project vessels in 2 neighbouring shipyards, saw me in South Korea in July. 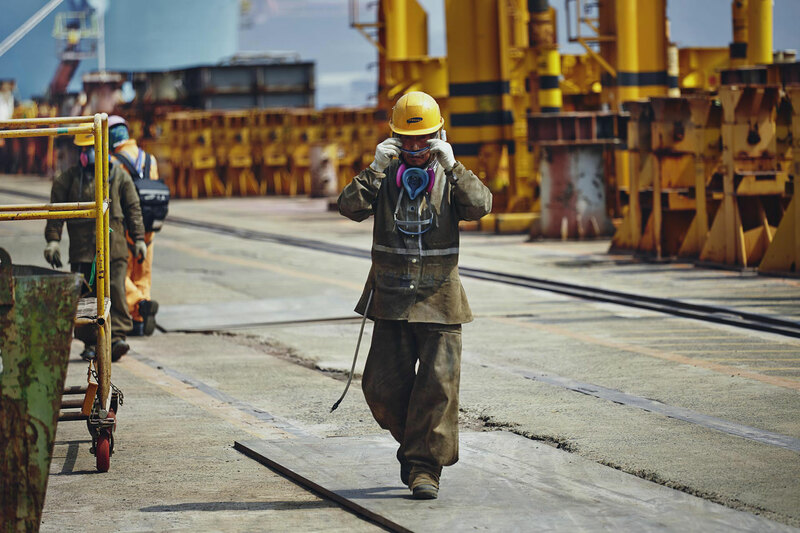 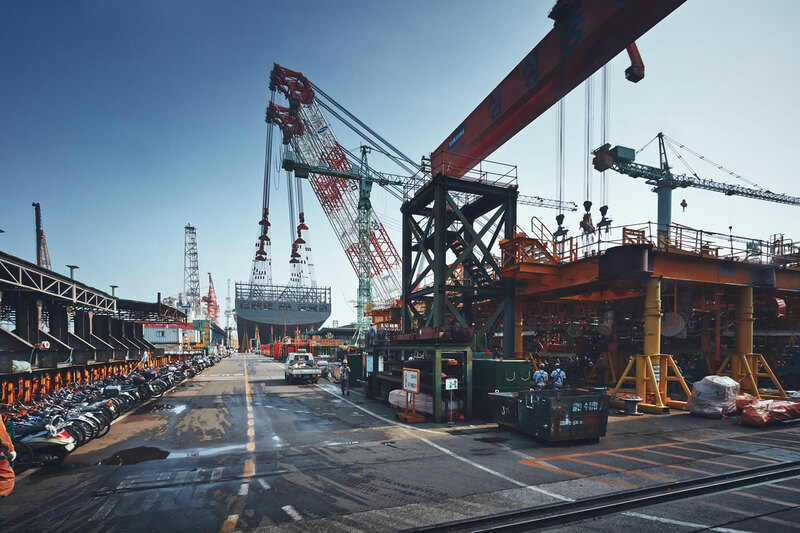 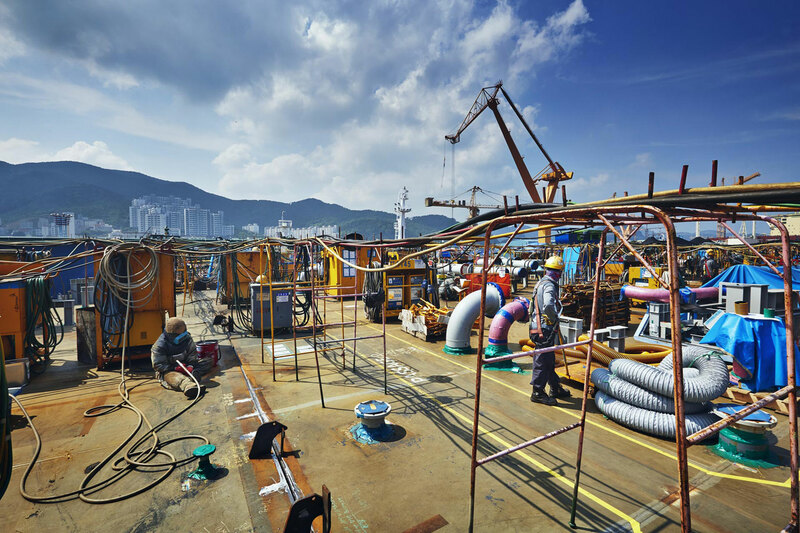 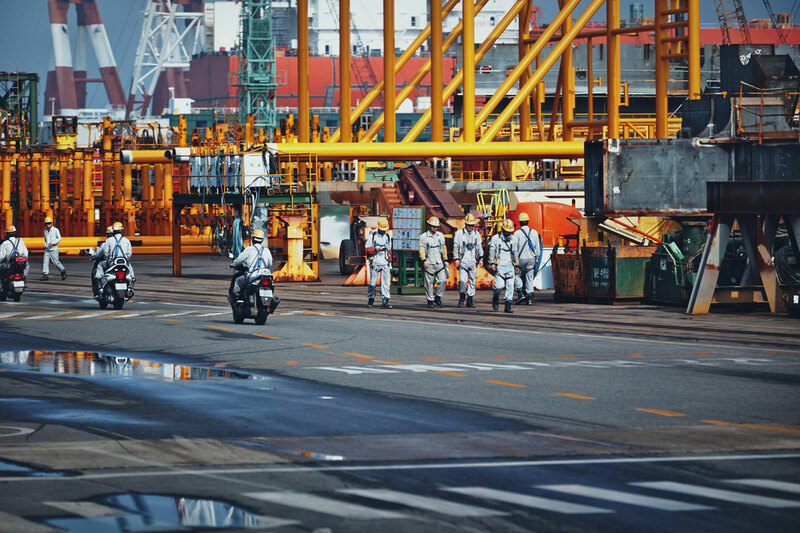 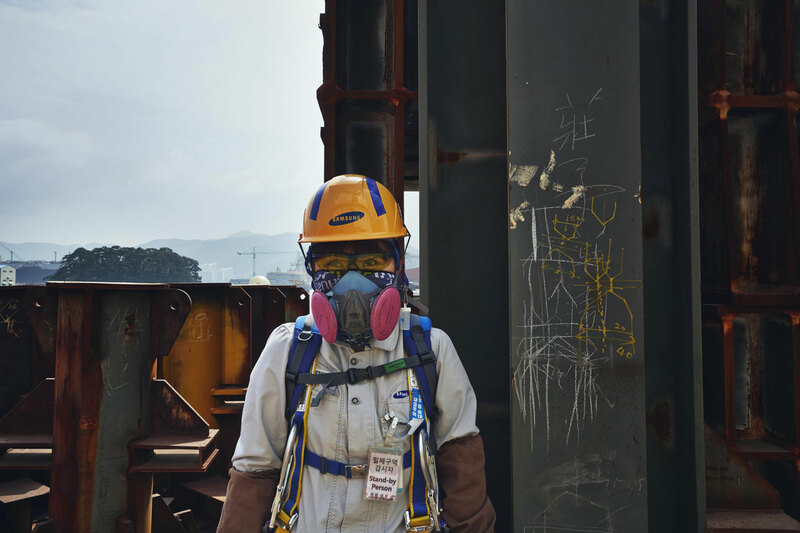 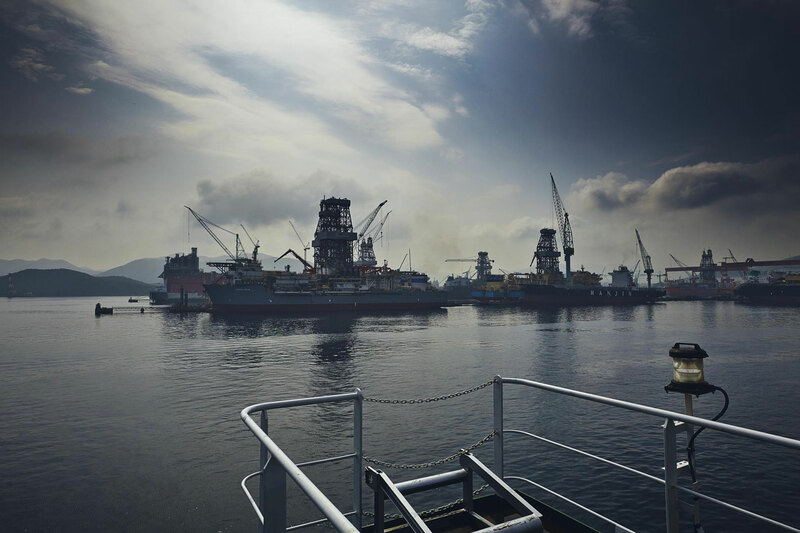 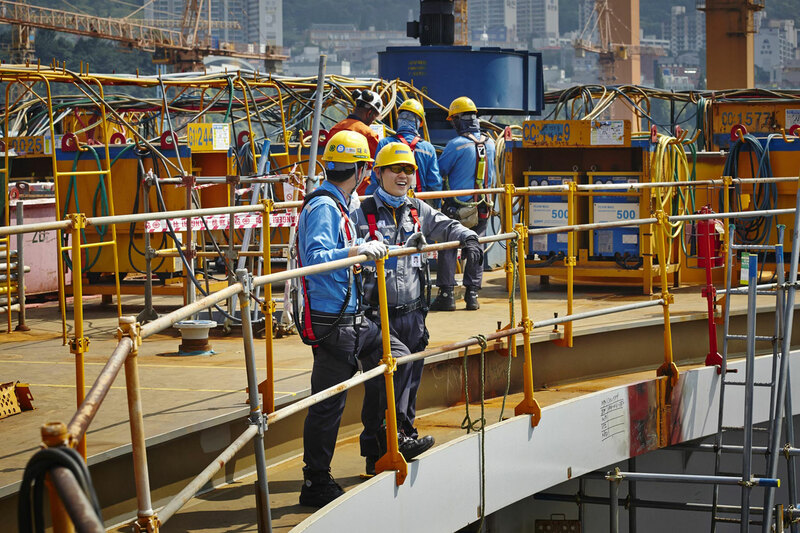 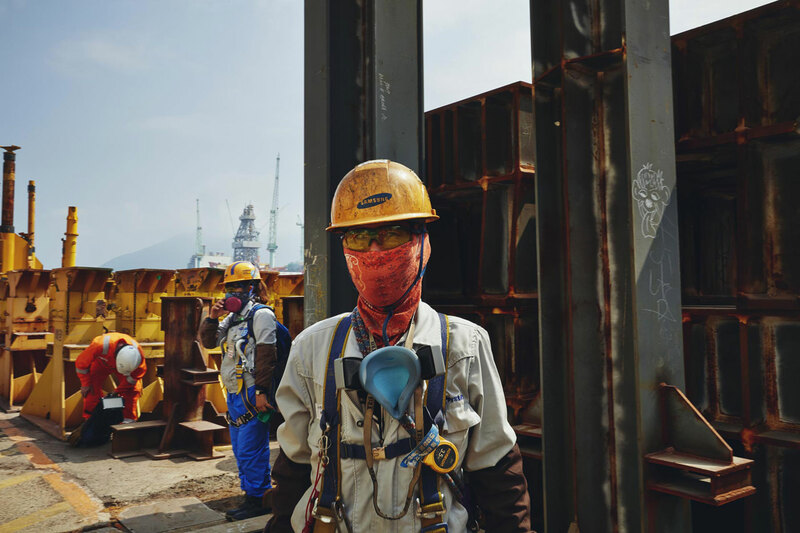 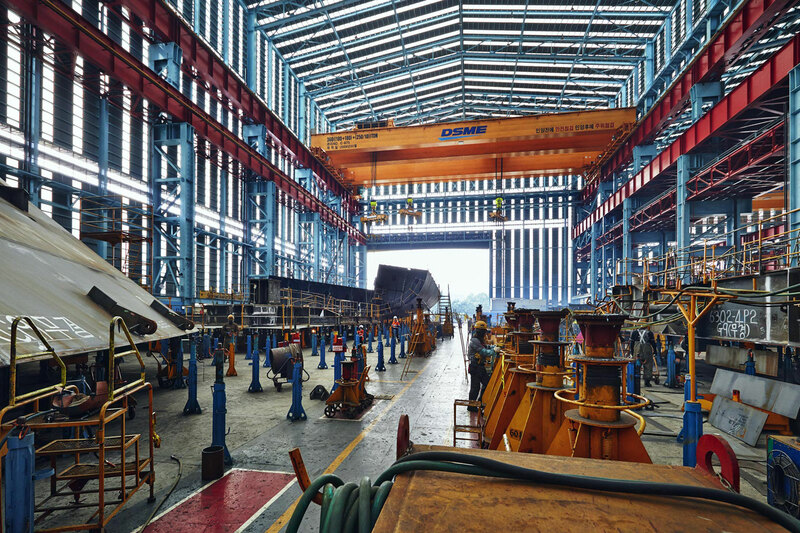 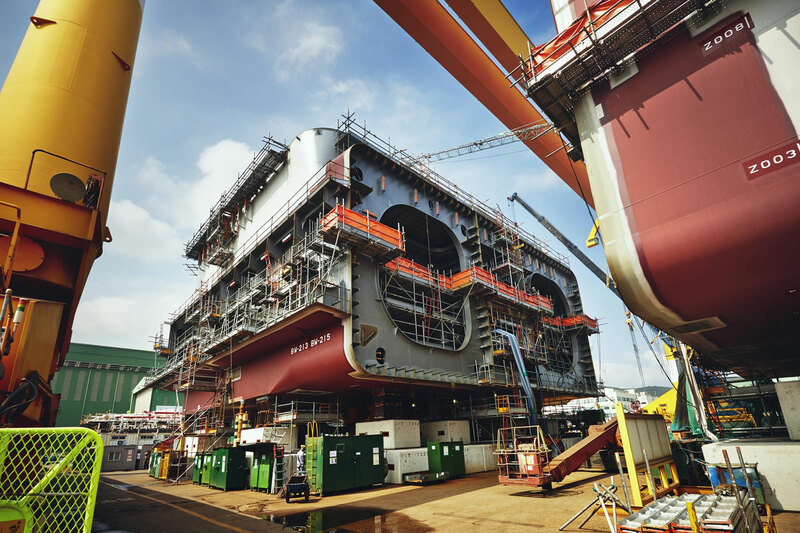 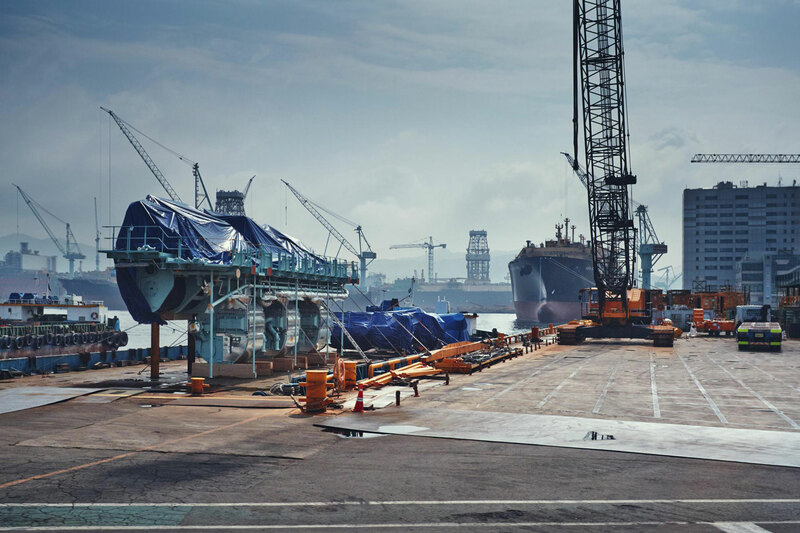 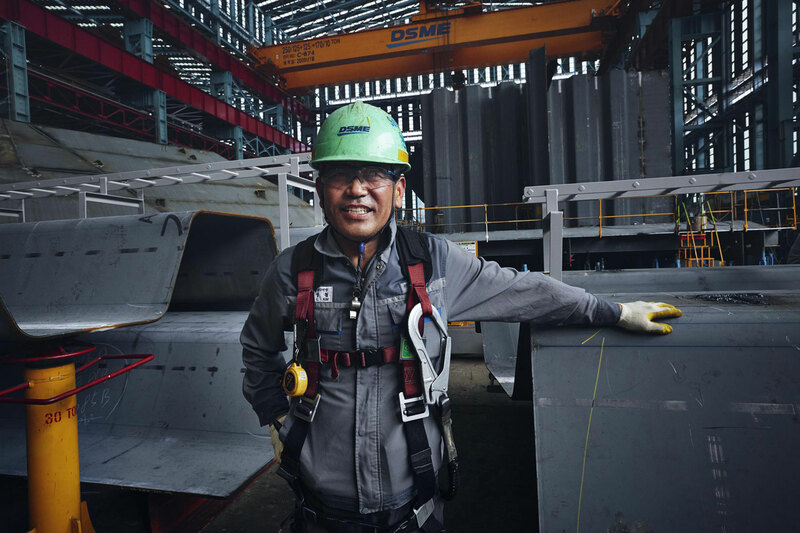 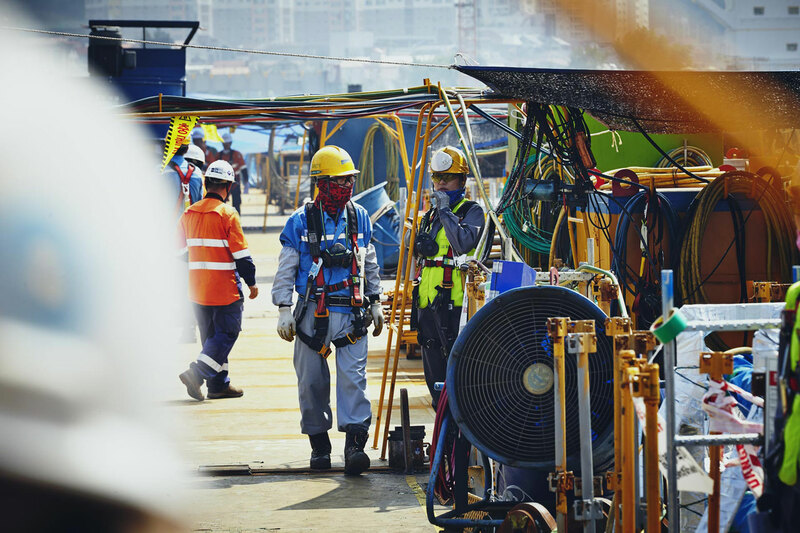 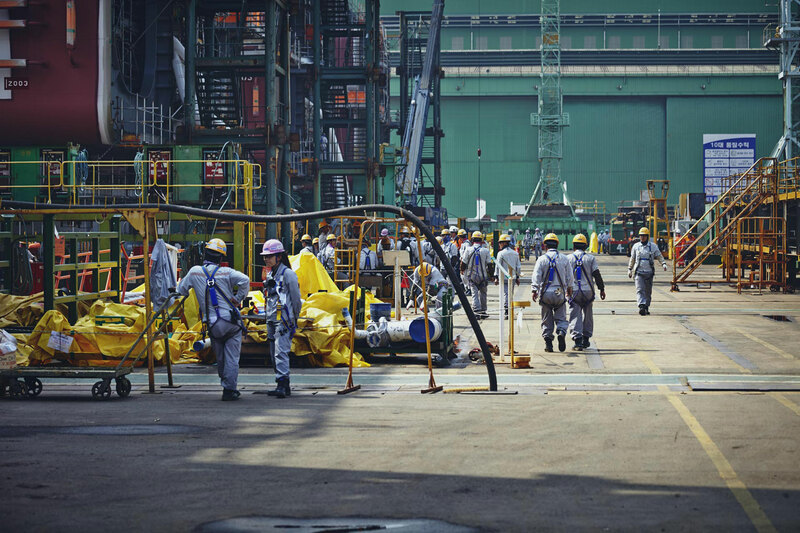 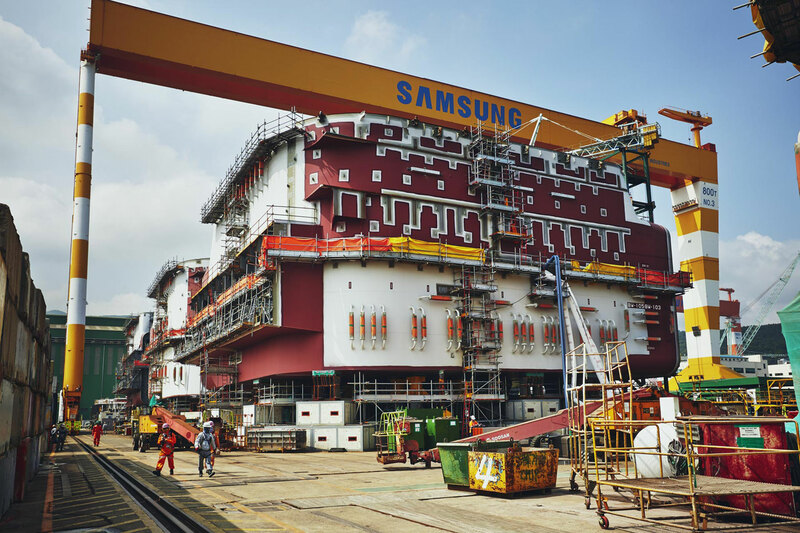 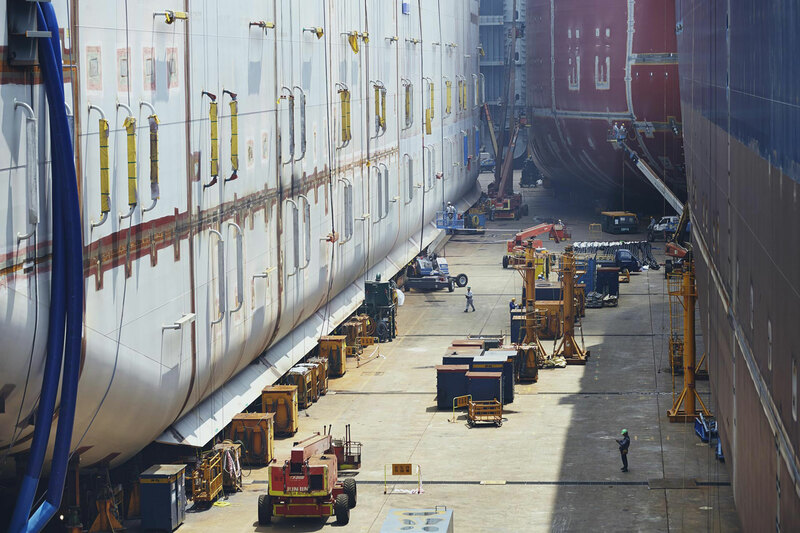 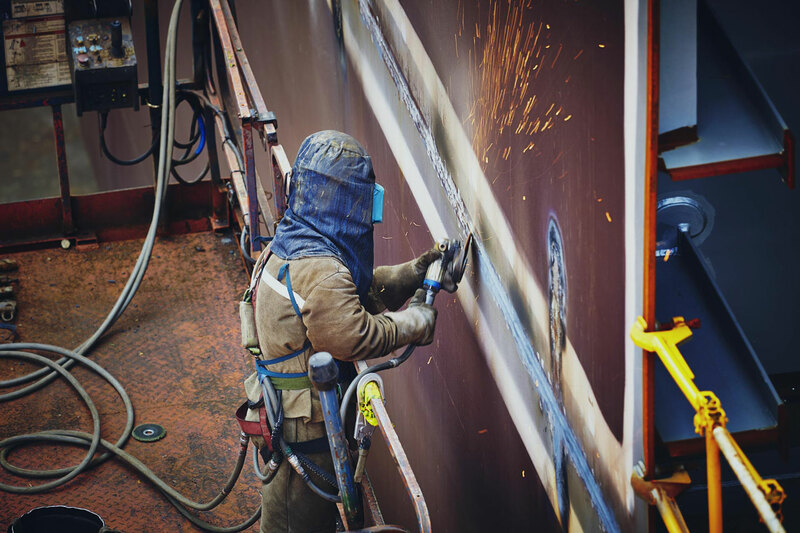 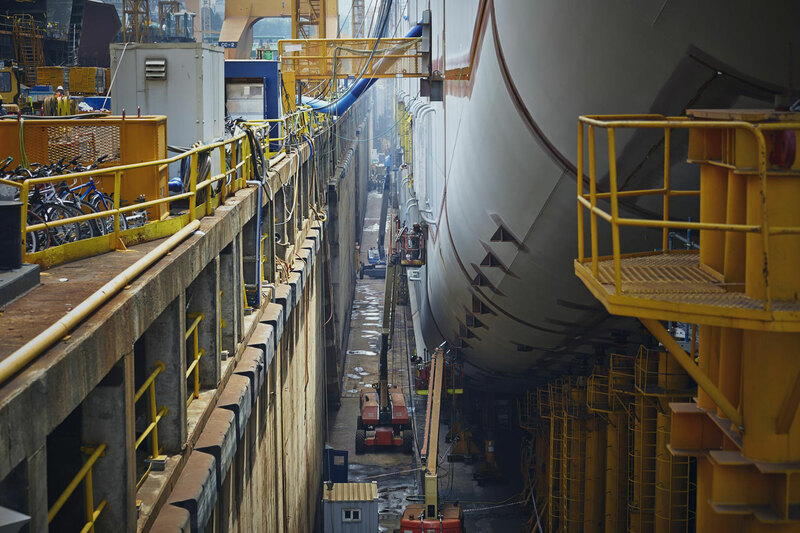 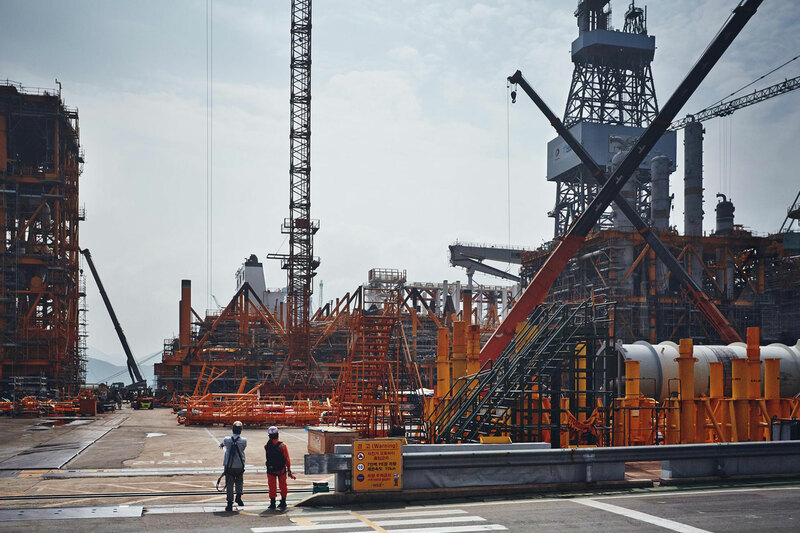 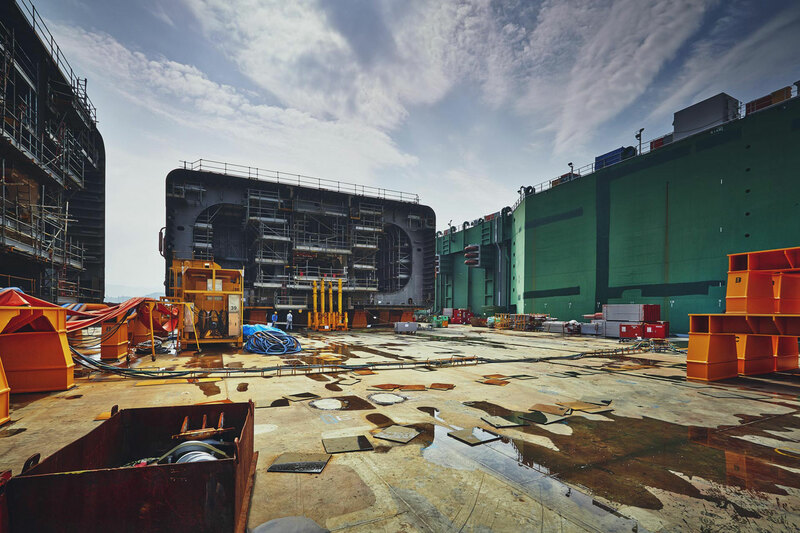 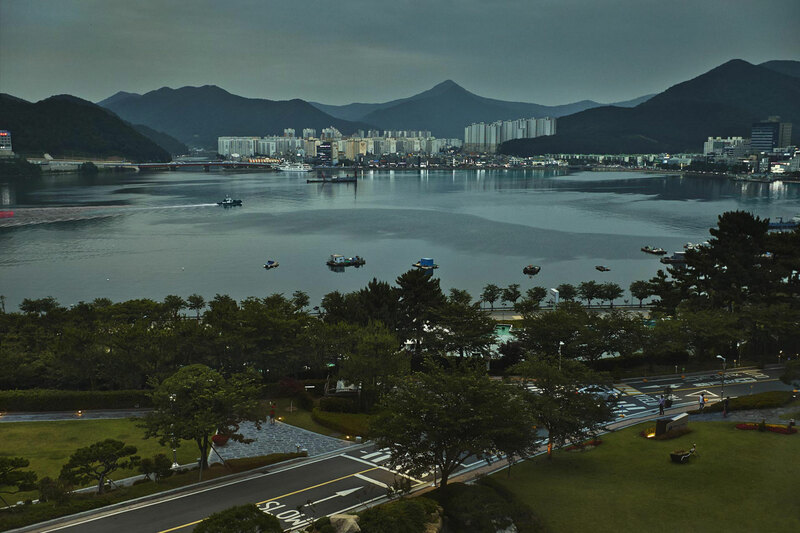 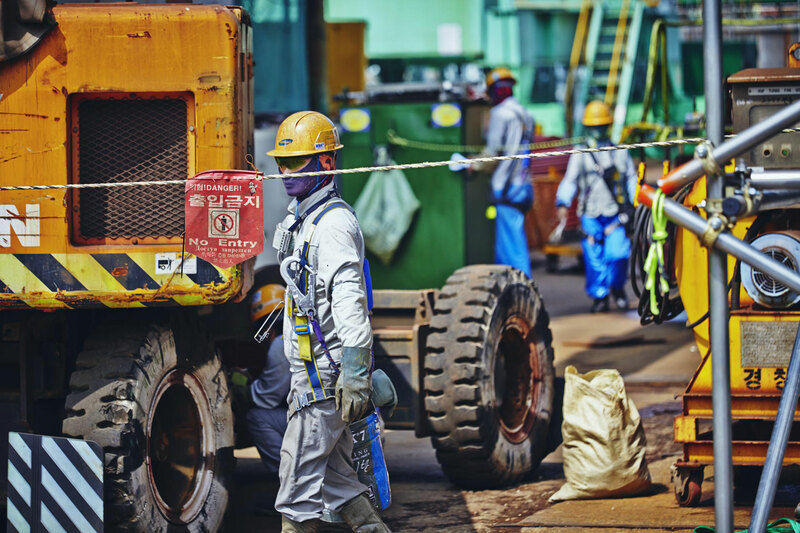 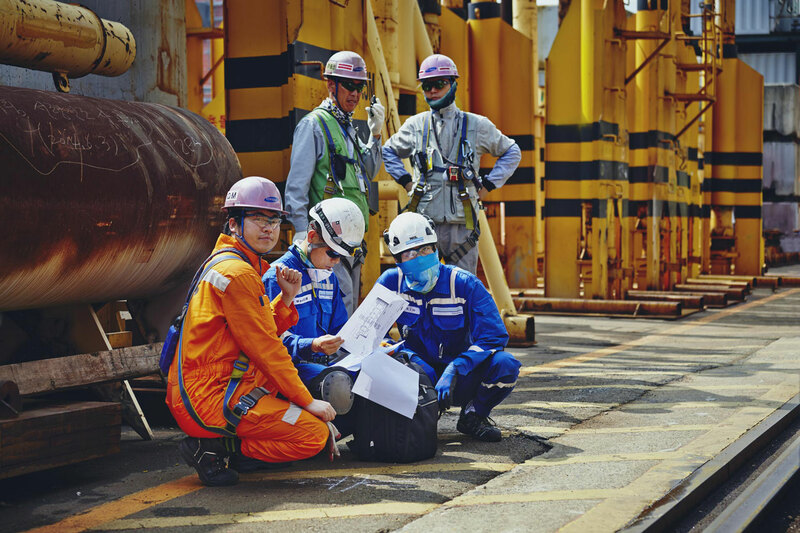 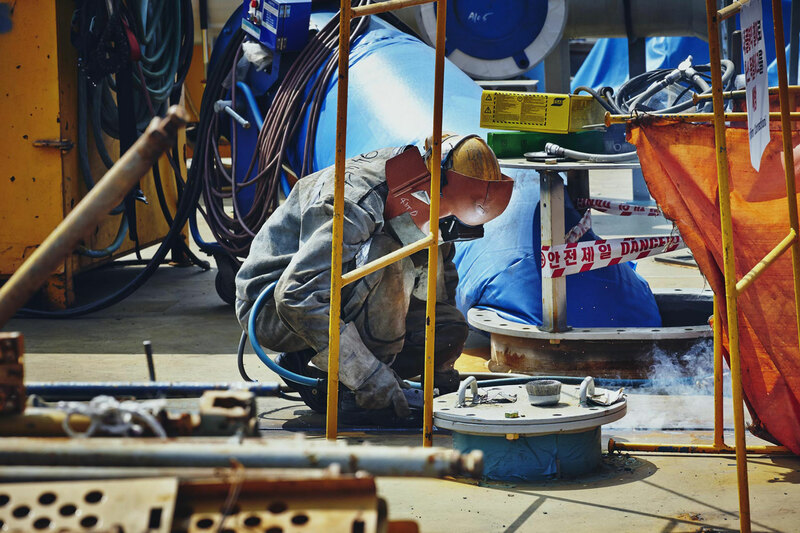 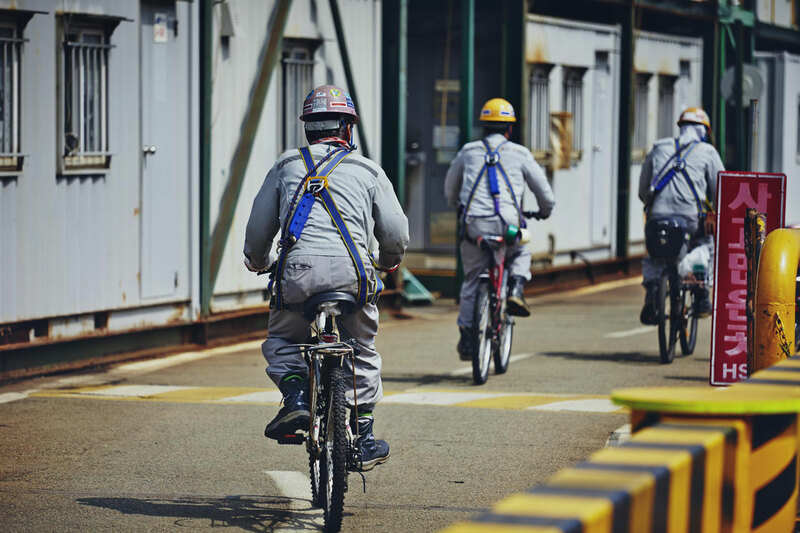 Situated on Geoje Island, the Samsung Heavy Industries (SHI) & Daewoo Shipbuilding & Marine Engineering (DSME) shipyards produce some of the largest ocean going vessels in use today, employing thousands of workers. 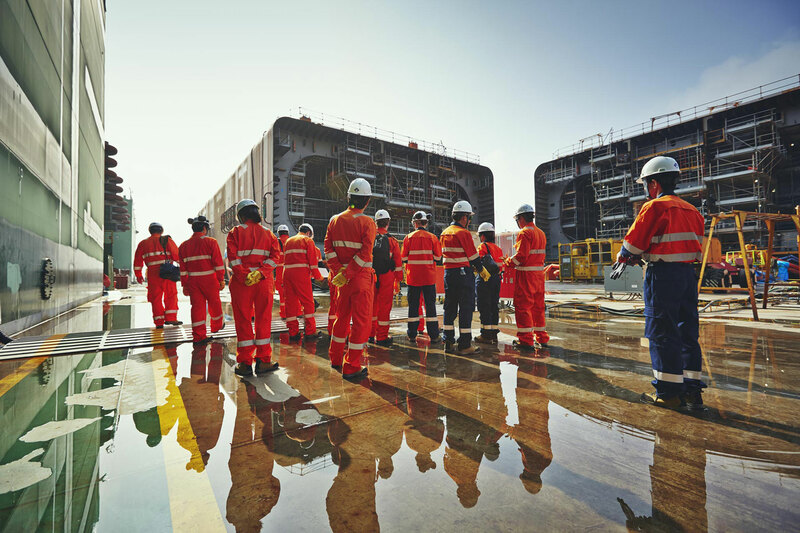 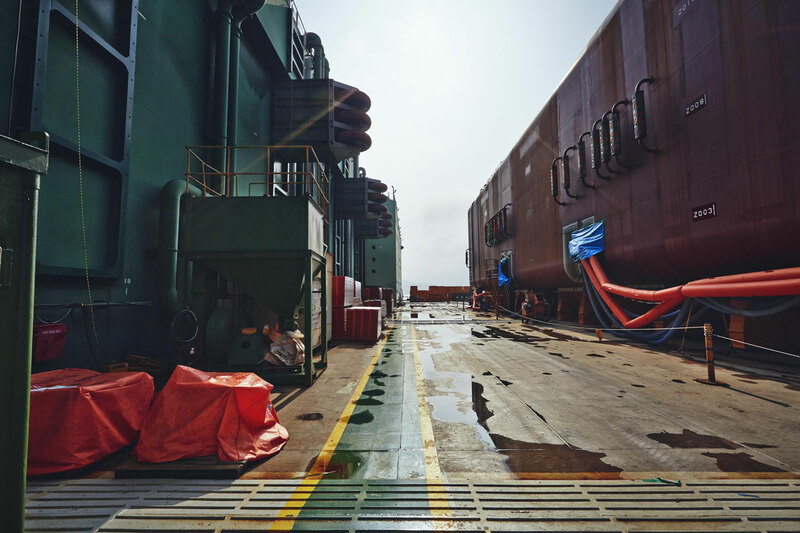 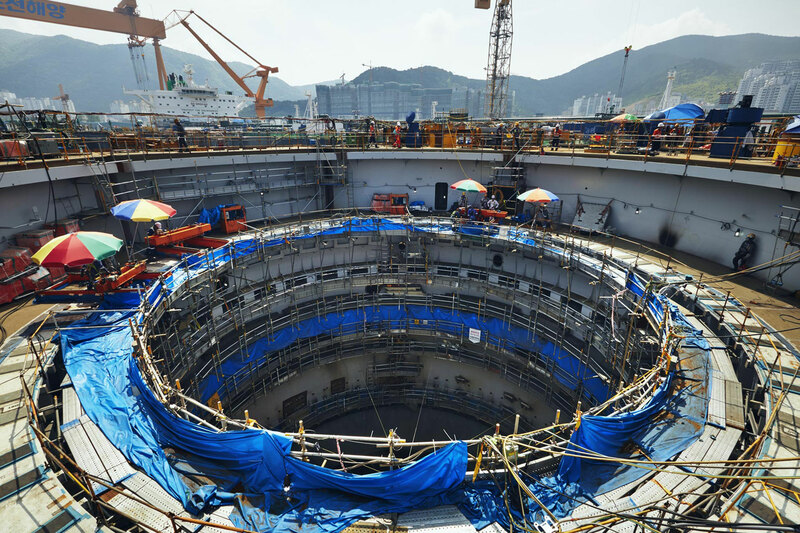 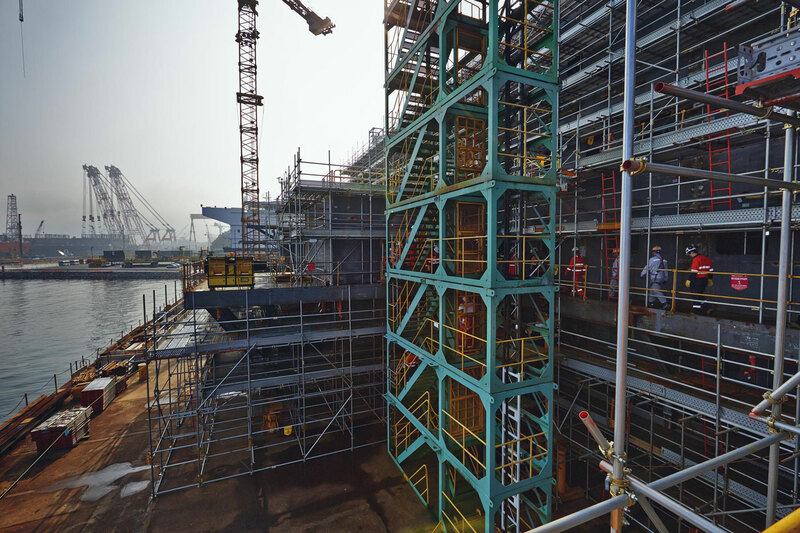 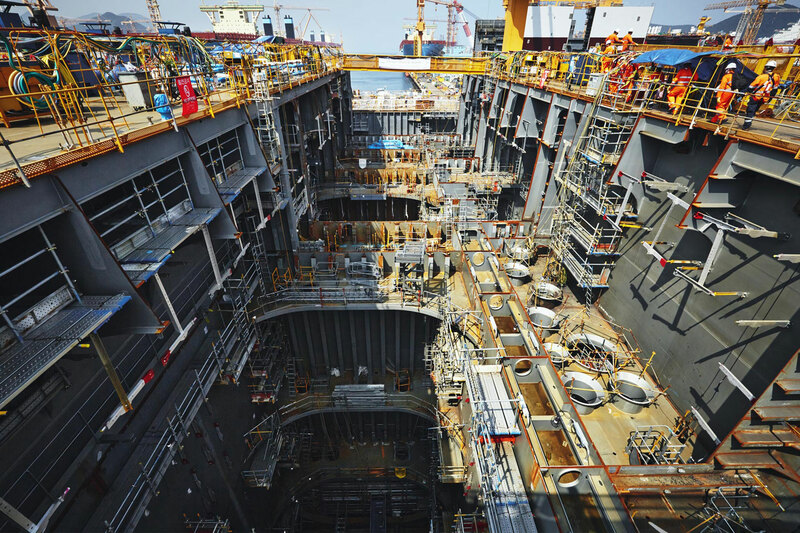 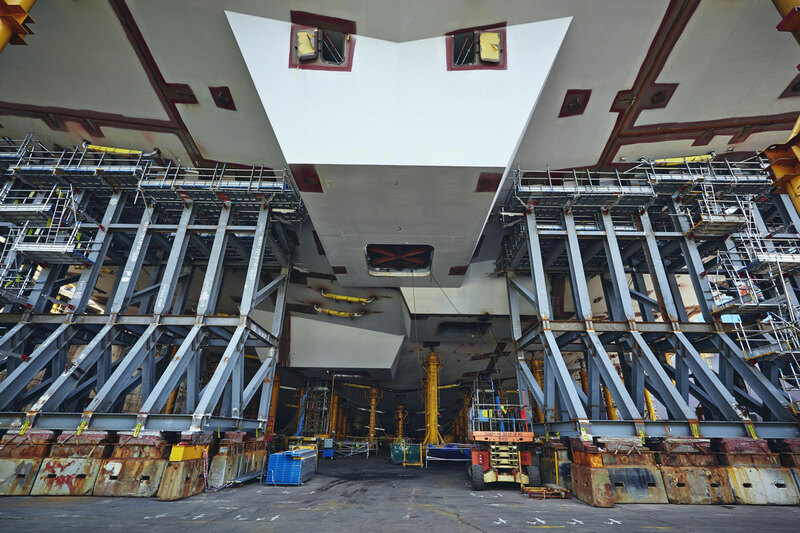 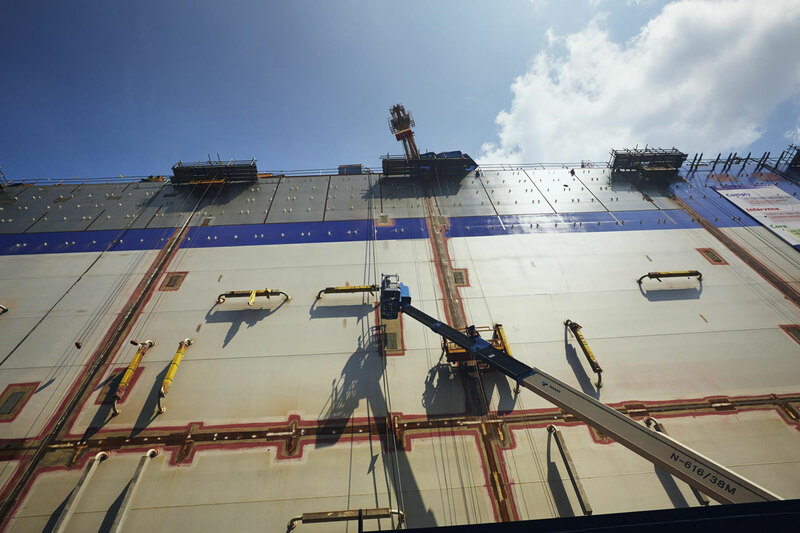 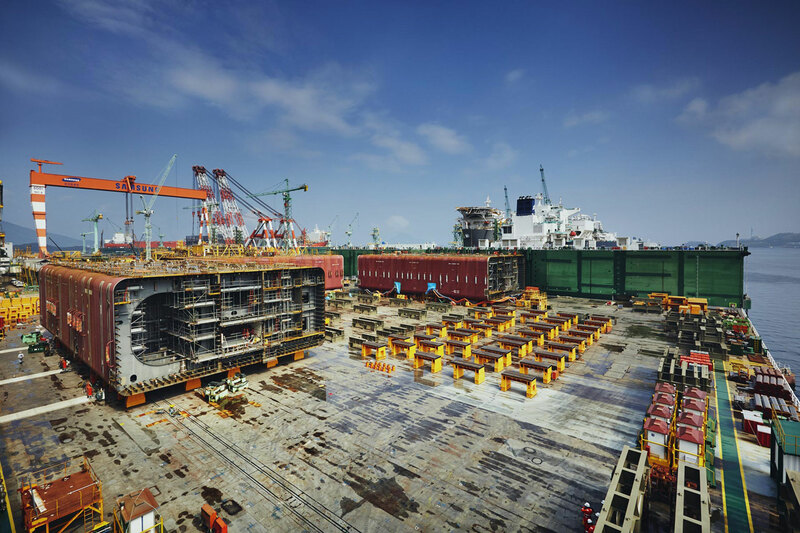 One of the largest dry docks in the world, SHI produce around 30 colossal vessels a year, including LNG carriers, oil drilling ships, FPSO/FSO’s, ultra Large container ships and Arctic shuttle tankers. 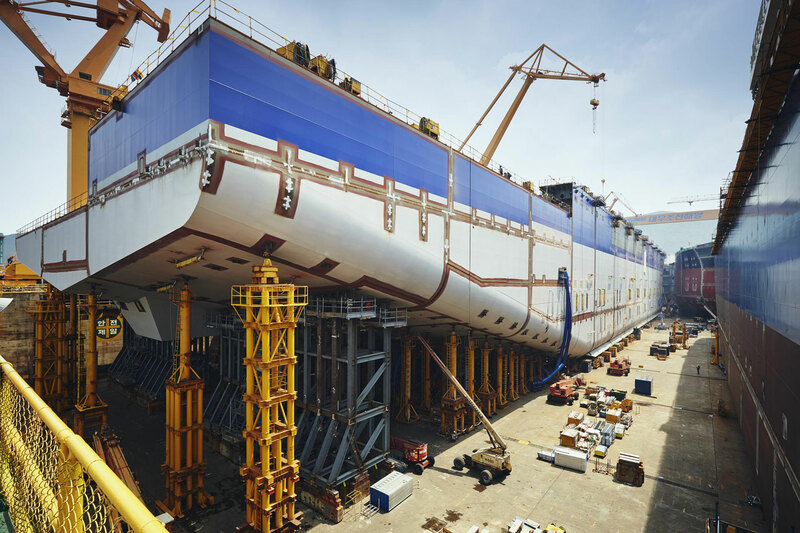 DSME over the pond & just as large, produce similar vessels in addition to naval defence products for allied nations. 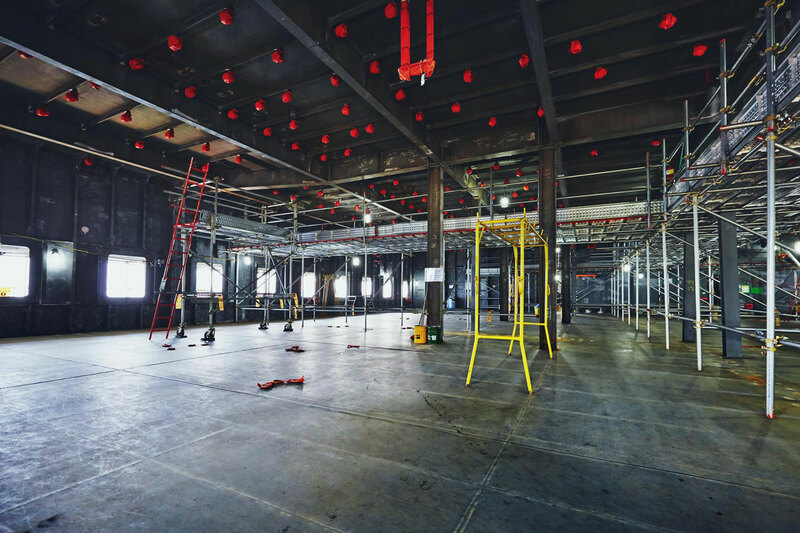 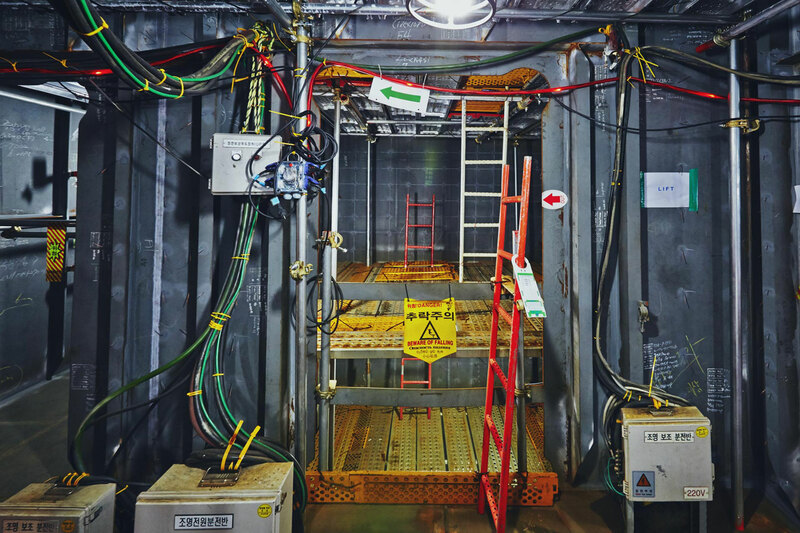 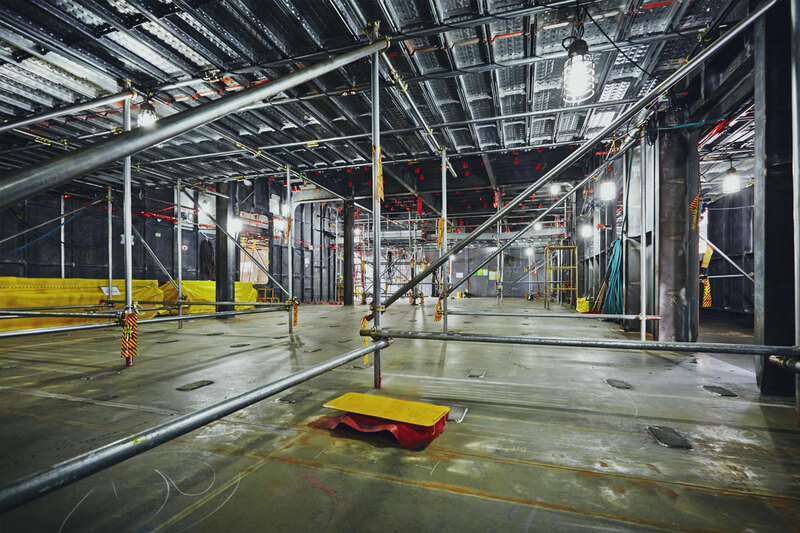 Seen here through the lens, these calm compositions belie the shrill white noise I encountered on site, ten’s of thousands of workers fabricating with heavy materials creates a minimalist drone some experimental sound artists might lust for.